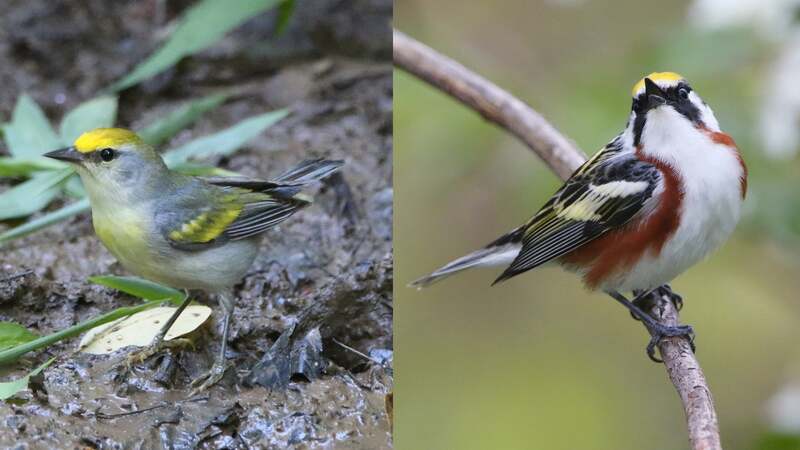 A birder in America spotted the bird of a lifetime in his backyard this past spring—it was a hybrid of three species across two genera in a single bird. He’d found a three-in-one warbler. Natural hybrids can be of conservation concern, since animals mating with the wrong species can give birth to sterile offspring or birds that no one wants to mate with. But one hybrid warbler seems to have found love, albeit with a bird from a completely different genus, leading to the strange results. Birder Lowell Burket knew something strange had arrived at the bird-watching spot on his property this past May. The bird looked like a hybrid well-known among birders, called the Brewster’s warbler, which is a mix between the golden-winged and blue-winged warbler. But it sang like a bird from a different genus, called the chestnut-sided warbler, and had a twinge of the chestnut-sided’s signature red patch on its side. Burket observed the bird a few times and eventually emailed Cornell researchers. Toews was sceptical at first, given all of the false alarms he’s received—someone once told him she’d seen the hybrid offspring of a pigeon and a duck, when in fact she’d just seen the common American coot. But he’d long been looking for a hybrid between the Vermivora genus, containing the blue-winged and golden-winged warblers as well as their hybrids, and the Steophaga genus, containing the chestnut-sided warbler. Male chestnut-sided warblers regularly fight the Vermivora warblers over territory, but it’s unclear how they’d interact with females, according to the paper published in Biology Letters. Burket’s report, bolstered by his birding know-how, seemed to fit the bill. Toews paid Burket a visit. They successfully caught the bird in a net and took a blood sample before letting it free. 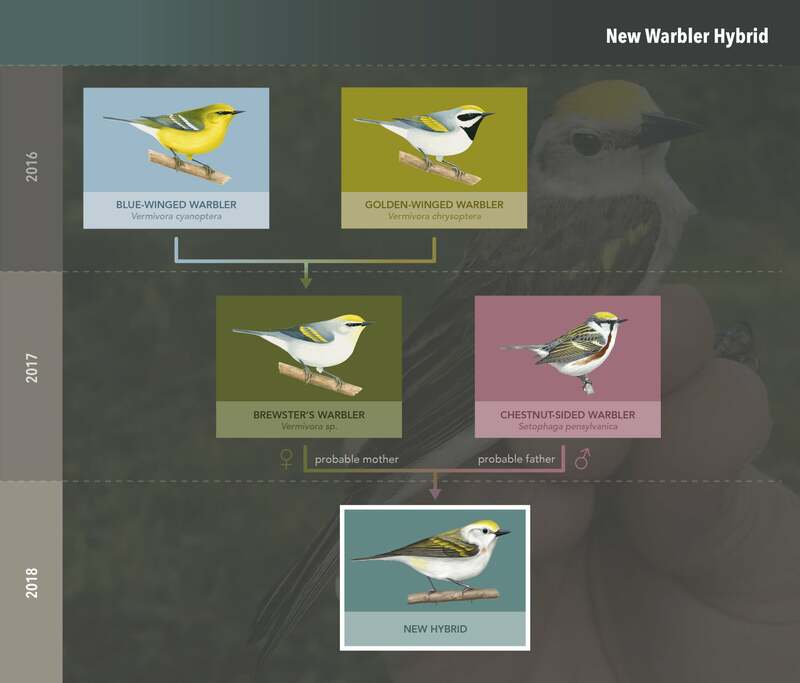 Toews ran an analysis of the bird’s mitochondrial DNA, and found what he was looking for—a Vermivora warbler mother—he presumed a golden-winged warbler—had mated with the chestnut-sided warbler. But when he shared his results with his colleagues and Twitter followers, they asked him to keep going. Mitochondrial DNA only stores information on the maternal lineage, so it wouldn’t reveal whether the strange bird’s mother was a hybrid herself or not. Further testing revealed that Toews’ Twitter followers were right: The mother was a hybrid herself. Burket’s bird was thus three species and two genera in a single bird. As far as Toews could tell, it was the first record of an interspecies hybrid reproducing with a bird from a different genus, according to the paper. 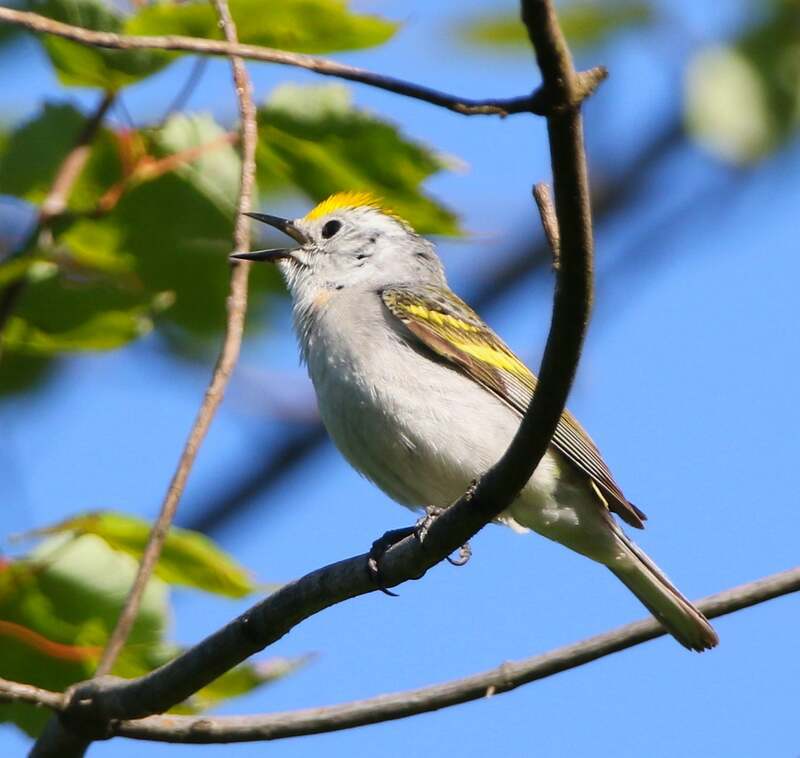 It’s unclear whether the three-in-one warbler successfully mated with another bird, or whether it could mate at all, though it returned to Burket’s patch on its way south this fall.